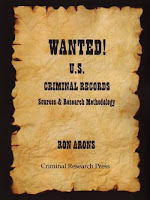 CGS member Ron Arons has announced the release of his second book, Wanted! U.S. Criminal Records: Sources and Research Methodology. Following up on the success of The Jews of Sing-Sing, Ron shares the knowledge he gleaned while investigating his great-grandfather's time in the slammer. He's bundled his experience collecting source documents for his first book into a unique resource for genealogists and historians. As he tells it, the first book was about putting the pieces of his family puzzle together. This new work tells us "how to find the pieces." WANTED! is a 388-page reference that lists archives, libraries, courts and online sites with the information you need to track down the black sheep in your family: prison, court, parole and pardon records, execution information, and investigative and police reports. George Morgan gave Ron's book a great recommendedation during the Janurary 27, 2010 Genealogy Guys Podcast #195 and summed it up by saying, "Every public library ought to have a copy of this book." 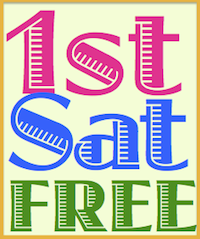 I hope Ron will be donating one to the California Genealogical Society Library. What do you say, Ron? Ron's book can be purchased through his website.